Writing WordPress themes and plugins to be publicly distributed requires meeting minimum system requirements, specifically PHP 5.2.4. Since WordPress supports PHP 5.2.4 so must your public plugins and themes. PHP has changed immensely between PHP 5.2 and now PHP 7 RC. To ensure your software is compatible with all of the WordPress community it’s important to test your software in a few major PHP versions, i.e. 5.2.4, 5.6, and 7.0 RC. We could of course test more versions, but picking three major ones is a safe bet. How do we test our plugin or theme in three major versions of PHP? Generally, our system can only run one version of PHP at a time. We could spin up different virtual machines with different PHP versions, however this is pretty difficult. The answer is containers with Docker. 1. Download and install Dockunit and it’s dependencies. First, install Docker via their simple installation instructions. Next, we need Node.js and npm (which should be included in your Node.js install). 2. 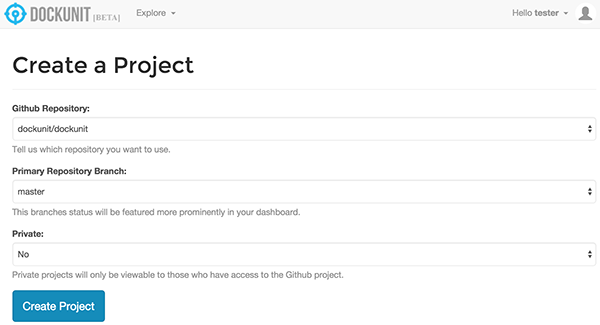 Setup your project for Dockunit. 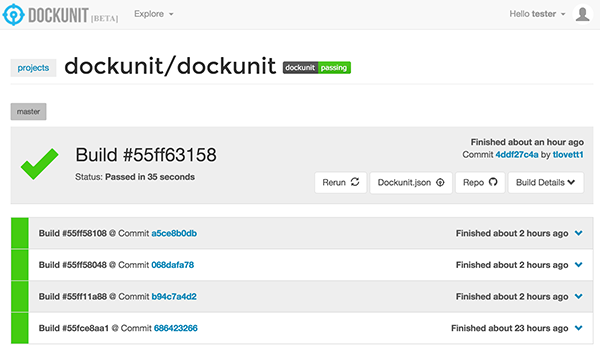 Dockunit reads Dockunit.json files within your project. Dockunit.json describes the containers you want to use and how you want to run test commands. Our Dockunit.json file will define containers for PHP 5.2, 5.6, and 7.0 RC 1 since we are most concerned about those PHP version. Dockunit has no limitations; we could define containers for different MySQL versions, different WordPress versions, Apache vs. nginx, our completely different programming languages unrelated to WordPress. One of the big advantages of Dockunit over something like Travis CI is that we can create the containers we use ourselves, and we can run tests in the containers locally. 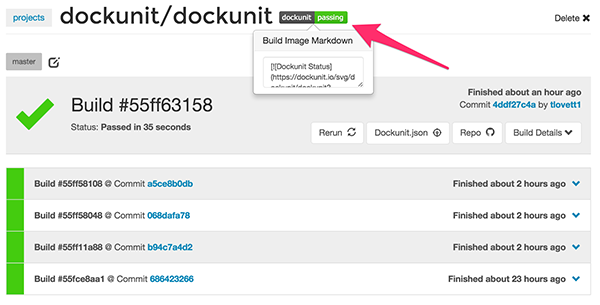 Create a file named Dockunit.json in the root of our plugin or theme. "testCommand": "wp plugin activate test --allow-root --path=/temp/wp"
"testCommand": "wp theme activate test --allow-root --path=/temp/wp"
prettyName is just an easy way for you to describe your container which will be useful in build output. image refers to a Docker Hub image. Dockunit comes with a bunch of predefined images that you can use, however you can always create your own. beforeScripts allows you to run commands in the Docker container before the test command is run. testCommand is the command whose exit code will be evaluated to determine whether your software “passes” or not. For each container you’ve defined, it will run the test command and evaluate the exit codes. If all your containers exited without error, then your build passed! If not, there is a problem with your code or how you setup Dockunit. The output should tell you which container failed. You can provide the --du-verbose option to dockunit to get even more information. Now that we’ve setup our Dockunit.json file and done a test run, push our repository with Dockunit.json to our remote (GitHub for the purposes of this tutorial). 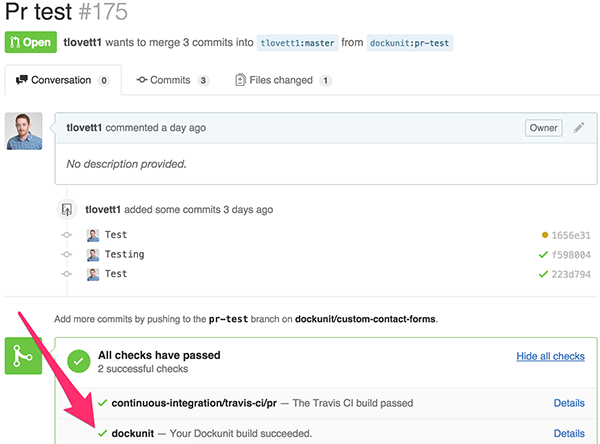 Once we’ve setup Dockunit in a GitHub repository, we can set up continuous integration so Dockunit tests are run on each pull request and push to the repo. If Pull Request or Push fails, a failed status will be shown on GitHub so we can fix our software. 1. Create an account on Dockunit.io. Dockunit testing in combination with Dockunit.io continuous integration is a very powerful tool for ensuring your software works well cross-platform. The versatility of Dockunit is endless since it relies on Docker – literally you can test any programming language against any platform; not just WordPress. Using Dockunit also makes testing easy for distributed teams since rather than relying on each developer to set up their local environment properly, you are relying on fixed Docker containers. Open source web technologies engineer and enthusiast. Lover of all things Node.js and WordPress. Creator of Dockunit and Dockunit.io. Director of Web Engineering at 10up. Currently residing in Washington DC building cool things on the web.